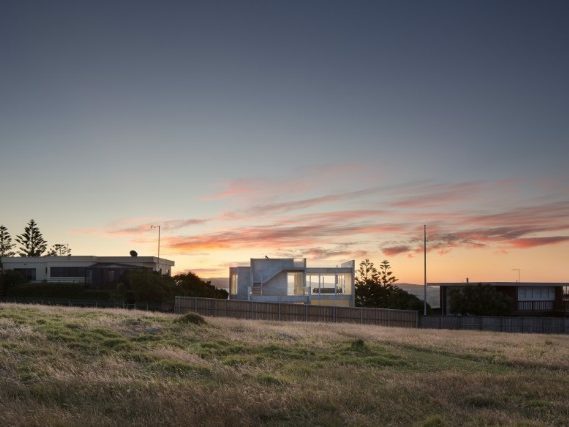 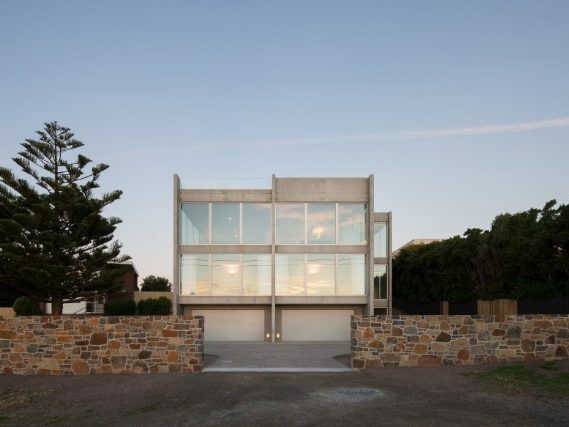 Located on a site subject to severe coastal winds, Brunacci House was conceived as a bulwark, a protective structure against extreme coastal weather. 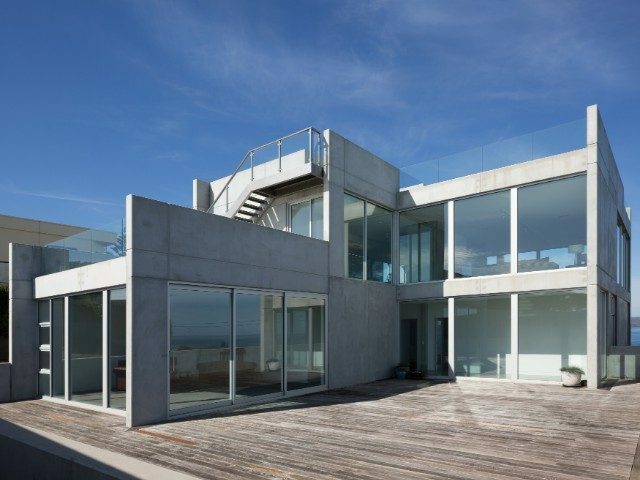 Its simple form and feeling of solidity combine to create a sense of permanence and protection. 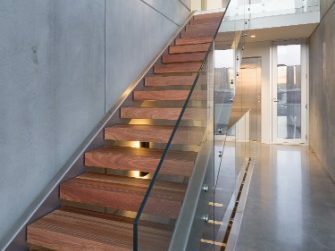 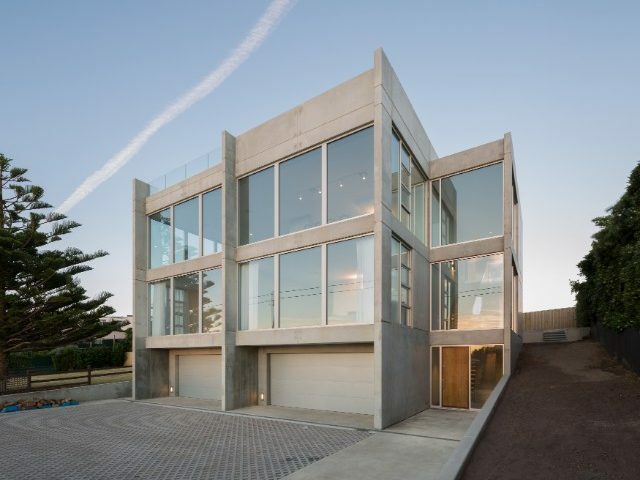 Precast concrete, chosen to create a feeling of refuge, is a robust and durable material that responds to the clients’ desire for the house to be a legacy for their family. 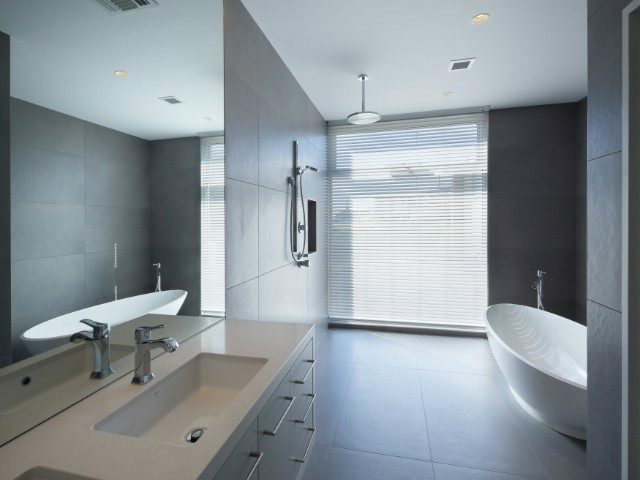 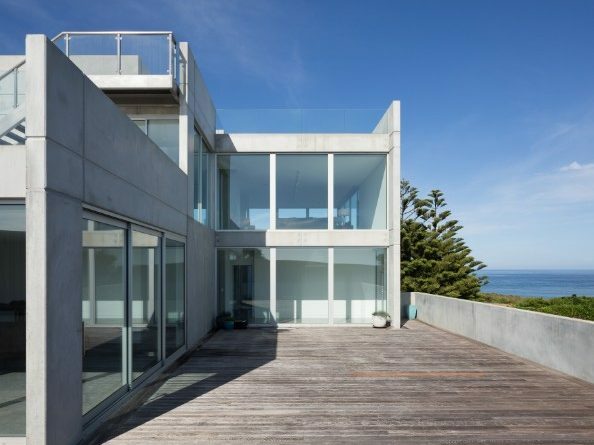 Concrete with its silver/grey tones, provides a neutrality to its form, helping to decrease its visual impact on the site. 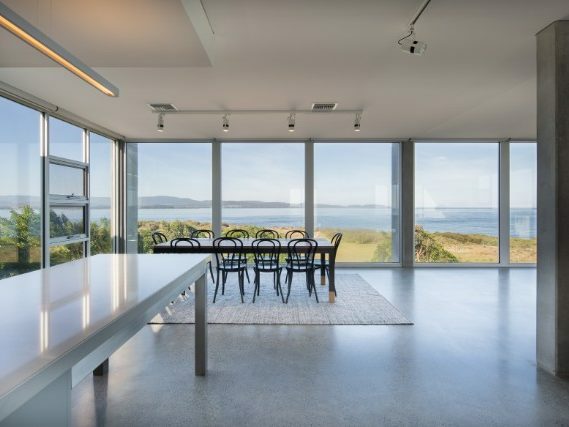 The house is zoned vertically in storeys, with internal spaces defined by four blade walls, which extend through all floors, dividing the spaces. 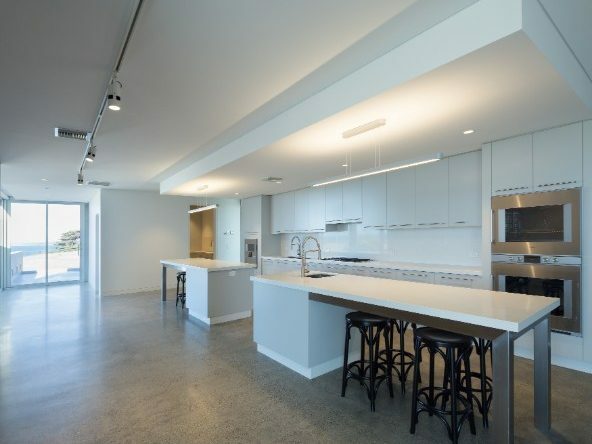 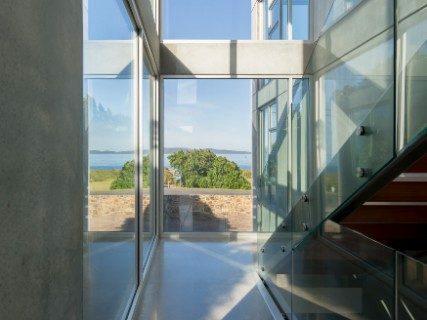 Extensive use of glazing between walls, provides for expansive views to the east over East Beach and to the west over the mouth of the Tamar River.